Stephen Hawking, the award-winning physicist, cosmologist, astronomer, a mathematician and an influential author; has an interesting life. Last month, this living legend took his last breath peacefully. 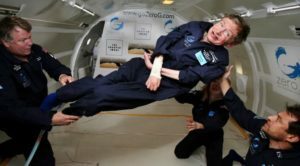 Here, we have the 10 interesting Stephen Hawking facts about our superstar scientist of this era.